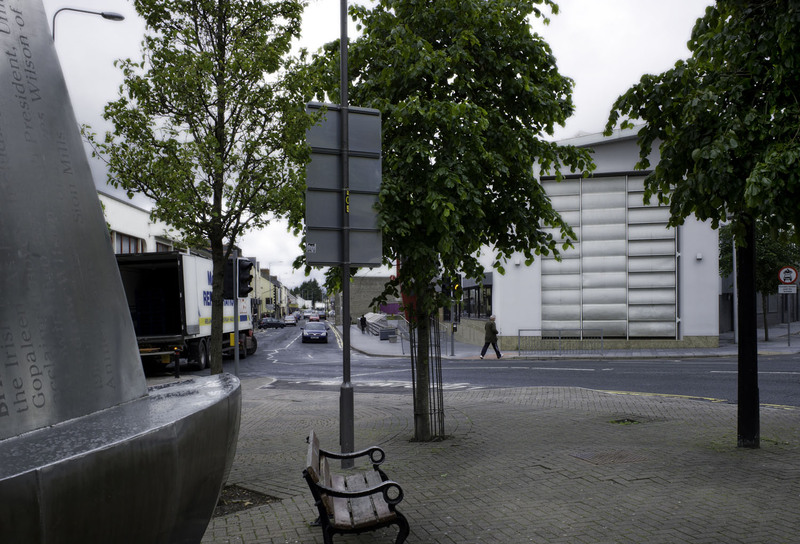 Well done to Culturlann Ui Chanain in Derry, which has been nominated for the Stirling Prize - a first for a Northern Ireland building. Culturlann Ui Chanain is an Irish language centre teaching traditional music, dance and language. The building is located on a landlocked site on Great James Street in the city. At a cost of £4m, the cultural space opened in September 2010 and was designed by O'Donnell and Tuomey Architects. The building has already been recognised by the Royal Institute of British Architects in May and last year won an Architectural Association of Ireland award. It is now in the shortlist for the Stirling Prize with six other UK buildings: see images of all six at the Guardian. The winning finalist will be announced in October this year - PLACE will keep you updated on how Culturlann Ui Chanain gets on. Forum for Alternative Belfast Summer School Poster. 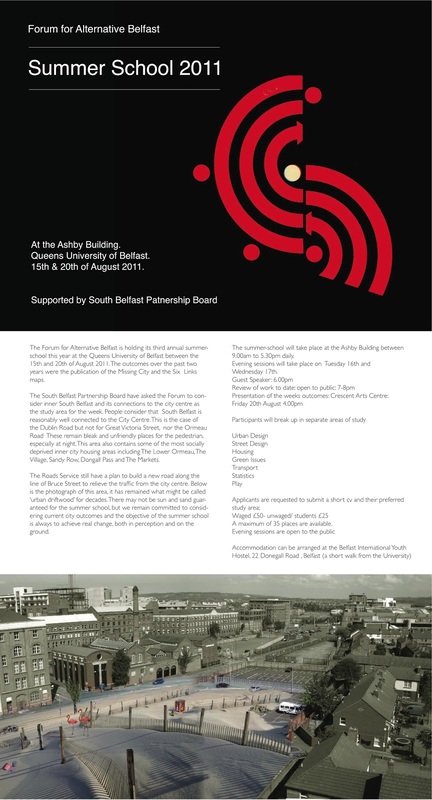 The Forum for Alternative Belfast is holding its third annual summer school this year at the Queens University of Belfast between the 15th and 20th of August 2011. 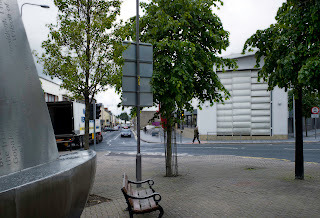 This year the Forum will consider inner South Belfast and its connections to the city centre. Areas of study will include: Street Design, Housing, Green Issues, Transport, Statistics and Play. To apply you are asked to submit a short cv of your preferred study area listed above to info@forumbelfast.org by Thursday 21 July. A maximum of 35 places are available.